In this week's video I am going to show you how to make a super sweet Easter treat idea! I recently bought some beautiful chocolate Easter eggs at my local grocery store because I want to make an Easter treat bag for each person that I work with. As I looked at these eggs I realized that the How Sweet It Is designer series paper would be a perfect match to use for my treat bag topper. 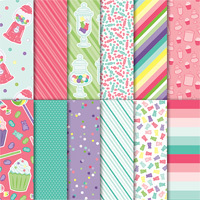 With its delicious colors and images, these patterns are ready for making cards or packaging gifts. Here's my treat bag. Under the photo you will see a complete list of supplies and my video tutorial. Thanks for watching! How Sweet It Is (148568): 4" x 1 1/2"; two pieces 2 3/4" x 1/2"
Whisper White: 4" x 3"; 2 1/2" x 1/2" (phrases); several strips 4" x 1/8"
In today's video (see below), I am going to show you a super cute and really easy Easter treat idea that you can create with your Big Shot, the Banners for You stamp set, and Bunch of Banners framelits. This fun Easter treat holder was created using the How Sweet It Is paper with a window diecut on each side. 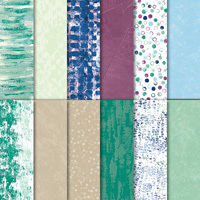 This paper has delicious colors and images, ready for making cards or packaging gifts. I plan on making a bunch of these treat holders to share with my colleagues at work because I know they will LOVE them! How Sweet It Is (148568): 7 1/4" x 2"
Whisper White: 2" x 1"
Pineapple Punch 1/8" grosgrain ribbon: approx 6"
Organdy Ribbon combo pack, Highland Heather: approx 6"
I was cleaning up my craft cupboard the other day and spotted my Gift Bag Punch Board. I realized I haven't created a gift bag for ages so thought it was about time I did so! I used to make gift bags all the time and have no idea why I haven't done so recently. They are so easy to make and Stampin' Up! has even come out with a video using the Gift Bag Punch Board. Have a look to see how easy they are to create! My final choice was to create the word 'wishes' from the Well Written framelits - I love this set of framelits with all the word choices and images. My last design choice was to create a Mango Melody butterfly to add a fun little touch on my bag. The dot on the 'i' is one of the Best Route Enamel Shapes and the bag is held closed using a trip of Blueberry Bushel ribbon. What do you think? Cute, right? Why not add the Gift Bag Punch Board to your next product order and begin to make your own gift bags! You can create matching gift card and envelopes for a complete set of gorgeousness! Looking for a last-minute but amazing gift? I have the perfect last-minute amazing gift idea for you! Paper Pumpkin to the rescue! We designed our awesome subscription service to put someone special on a fast track to creativity with our easy-to-make kits. Paper Pumpkin can also open the door to exploring and discovering coordinating Stampin’ Up! products. 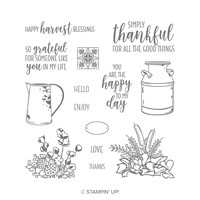 And while this can be done with almost every Paper Pumpkin kit, occasionally we offer specially-designed kits to make it easy to introduce YOU (and your crafting friends) to even more of what Stampin’ Up! has to offer. Take January's Be Mine, Valentine kit. It combines everything you love about Paper Pumpkin-style treat packaging with adorable critter coordination in the popular Animal Expedition Kit! 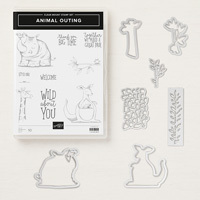 The January kit coordinates with the Animal Expedition suite on p. 26–27 of the 2018-2019 annual catalog—to help your special friend maximize their crafting possibilities. This kit would make a GREAT gift idea for a crafty friend or family member! IMPORTANT: Subscribe to Paper Pumpkin today to get this fun kit! Supplies are limited so don't wait! Today I want to show you how to take the Dashing Deer bundle, Merry Christmas to All bundle and Festive Farmhouse paper to make something other than Christmas cards. I will show you how to create stunning Christmas present tags using these same products. These Detailed Deer Christmas tags are so easy to create - you can make a bunch in an afternoon. Are you having an office gift exchange this year? I know I would love to receive stunning Christmas present tags as a gift and I bet your office mates would too. Real Red: 3 1/2" x 2 1/2"
Old Olive: 3 1/4" x 4 1/4"
Whisper White: 2 1/2" x 2 1/4"
Under the Mistletoe paper (146921): 5" x 1 3/4"
Here's my video showing you how to make this tag PLUS some extra tips and ideas along the way. I also show a second tag idea using the same layout. Have you seen signs of Santa's amazing helpers? 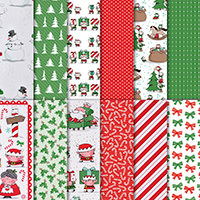 The Signs of Santa bundle is such a happy set - with those quirky images that are fun to color. And the set even has an official North Pole seal! You know you have seen signs of Santa's amazing helpers with today's project - one of the elf images is featured on a super cute, and very easy to make, gift bag and tag. What would you pop inside this bag and give to someone special? I love the size of these Santa's Gift bags - they fit nicely onto a Christmas tree branch, inside a stocking hung by the fireplace or sitting on a place setting at the dinner table. There are so many ideas for these fun bags - why not start with this one below? 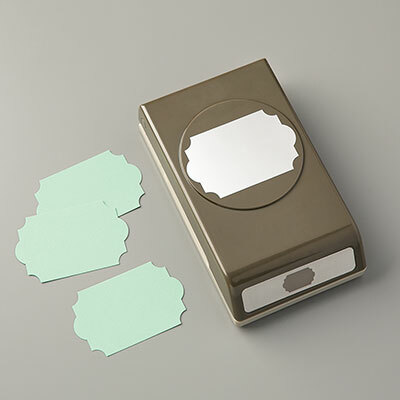 Punch one end of the 2” x 4 3/4 piece of Garden Green cardstock with the Scalloped Tag Topper Punch. 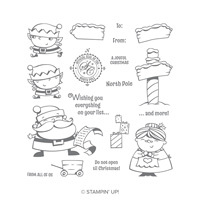 Die cut the elf and pole from the Santa Workshop DSP and then stamp the North Pole onto the pole with the Memento Black Ink. Attach the Whisper White stitched circle to the Garden Green Scalloped Circle and then add the elf and pole. Use Dimensionals to attach the completed circle to the tag. Attach the Whisper White Bakers Twine to the top of the tag. Here I have used the tag on the Santa Bags (147812) but this tag can also be used on any other bag or wrapped gift or even as the focal point of a card. This time of year is so much fun! Making Christmas cards is one of my favorite things to do but I also love making gift bags and tags. What if I told you that you could learn how to make your own Santa gift bags? And they are super easy to make? Stamp light strings on Santa’s Bag using Memento Black ink. Color light bulbs on bag using the fine-tip end of Real Red, Garden Green and Daffodil Delight Stampin’ Write Markers. Punch one end of the Garden Green cardstock with the Scalloped Tag Topper Punch and the other end with the Banner Triple Punch to create tag base. Stamp “May Your Christmas be” in Memento ink on scrap Whisper White card stock. Stamp “Bright” using Real Red ink. Punch out with Everyday Label Punch. Adhere label to tag using Dimensionals. Adhere a piece of Garden Green Baker’s Twine to front of tag using Mini Glue Dots to create string for lights. Stamp bulbs on scrap Whisper White card stock using Real Red, Garden Green and Daffodil Delight stamp pads. Color stamp images with Wink of Stella. Punch out using Christmas Bulb Builder Punch. Punch out ends of light bulbs from scrap Silver Foil Sheets using Christmas Bulb Builder Punch. Tip: A ½” wide strip will fit in the punch perfectly without wasting extra paper. Adhere bulb ends to bulbs using Mini Glue Dots. Adhere bulbs to tag using Dimensionals. Cut an 8” piece of Garden Green Baker’s Twine and tie to top of tag. Finish tag by adding a star from the All is Bright Paper Clips on the Whisper White label. I love making 3D items each year at Christmas time and I have an awesome candy cane pocket card you need to make! It is super easy to create and will thrill a work colleague, someone who opens their stocking on Christmas morning or a friend at this year's gift exchange. When thinking about designer paper for this fun project idea, choose either bold or subtle holiday designs and then solid card stock to match. Score Poppy Parade cardstock at 1 ¼ and 5 ½ , and fold in half, then fold the 1 ¼ piece down to make an accordion. Tie ribbon around the packet to hold it together, do not tie it too tight so that you can still add a hot chocolate packet and a peppermint spoon or candy cane. Punch out an early espresso piece using the starburst punch and punch out a 2 inch circle using the whisper white cardstock. Add hot chocolate and a candy cane and ENJOY! When you think of gift boxes this Christmas, don't look at what the stores offer, look in your Stampin' Up! catalog! 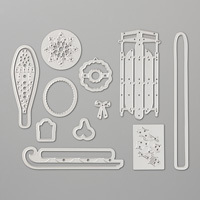 We have everything you need to make holiday cards, gifts, boxes, bags and tags. Here's a fun Signs of Santa gift box idea - pop a sweet treat inside - either edible or not! Poppy Parade card stock : 3-1/4” x 1"
Lay Baker’s Box flat on scrap paper and use a sponge brayer rolled in Pool Party ink to add a light layer of color. Stamp Buffalo Check on white square of card stock. Assemble box and lay the buffalo check in the bottom. Use Big Shot to cut out any images from the Designer Series Paper that you wish. Stamp “North Pole” in signpost, if using that image. Punch ribbon border from Poppy Parade card stock strip. Adhere to the front top of window with glue dots. Fill box with goodies. Wrap Poppy ribbon around the box and tie a bow. 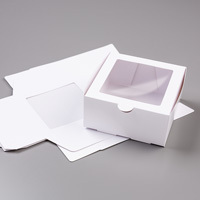 Add die cut images to front of box using mini glue dots or dimensionals. What would you pop into this gift box? Add a comment below and share your ideas! Last Sunday I created a video tutorial and complete set of instructions on how to create a beautiful Thanksgiving table setting - a pouch idea for your silverware. Today I have a sweet project to complement your table setting pouch - a Thanksgiving table favor! Think about what fun it would be to sit at your table and see this little treat bag to tempt you until the end of the meal. And you can bet all the children (and young at heart) will love this idea. 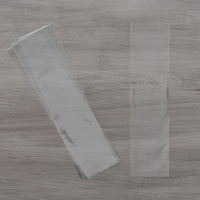 First, select one of the skinny cellophane bags - the 2" x 8" size would be perfect but there are other sizes to choose from. See page 193 in the Annual Catalog for all your choices. Step 2: Choose a solid color of card stock to slip into your cellophane bag. It will also be the base for your designer series paper. Step 3: choose your designer series paper. Step 4: Adhere your designer paper to your solid card stock and slide this strip into your cellophane bag. 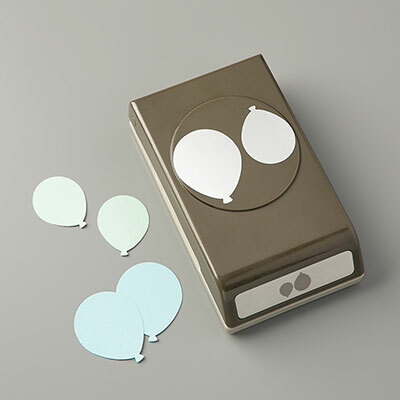 Step 5: Add two punched tags, using the Everyday Label punch. You can choose the same color as the layer in the bag or you can select a contrasting color. Step 6: Now the fun part! Choose your favorite candy to slip into the bag. Seal the bag by peeling of the adhesive cover on the strip. Place one punched image on either side of the sealed bag and hold in place using your stapler. Step 7: Stamp a phrase onto a scrap piece of Whisper White card stock. I chose the 'thank you' from the Love What You Do stamp set and die-cut it using my Big Shot and Layering Ovals framelits. When you stamp your image, choose a coordinating ink color or contrasting ink color. Step 8: Tie a nice bow around your table favor bag, add a cute embellishment and your project is ready to lay onto your Thanksgiving table! Are you going to give this idea a try? If not for Thanksgiving, why not for your Christmas table? Click any of the product images above to place your order now so you are ready to craft up a gorgeous holiday table this year! In a couple of weeks friends and family may be arriving at your house to celebrate Thanksgiving together and there is a lot to prepare for this big day. 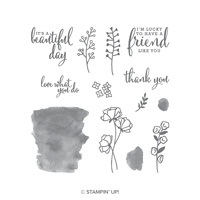 Why not let Stampin' Up! (and me!) help you with your table decorations? I have the perfect way to make your Thanksgiving table look stunning this year with a table setting cutlery pouch project. And to make your life easy, I created a video tutorial and set of written instructions below for you to download. My suggestion is that you create an assembly line of steps for making this pouch a breeze. You can easily create several in no time at all and your guests will be wow when seated at your table. The first step to this project is to choose your designer series paper pattern and then coordinate the main pocket color with the colors in the designer paper. Your table will look stunning if use a variety of pocket colors all the way around. And for my pocket phrase I decided to use my Labels to Love stamp set which I stamped and die-cut using my Layering Circles framelits. 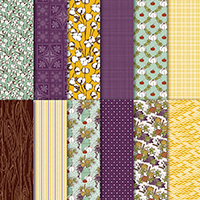 Country Lane: 2 1/4" x 3"
Crushed Curry: 2 1/2" x 1 1/5"
Blackberry Bliss: 7 1/2" x 6"
Here's my video tutorial - underneath you will find instructions to download! In my video I share lots of other design ideas so make sure you listen all the way through! 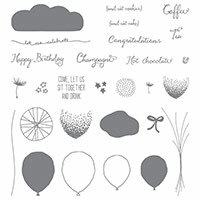 Cut Blackberry Bliss cardstock - each piece is: 7.5" x 6"
Using your Simply Scored, lay cardstock 7.5" horizontal on the scoreboard and score at 0.5" and at 4"
Turn Blackberry Bliss cardstock 90 degrees clockwise and score at 1". Cut along the score line at 1" from both edges until you meet a score line. Trim back the edges of the fold back flaps (diagonally) to reduce some bulk. Use a Layering Circle framelit to cut a semi circle from the side of the pocket that has no flaps. 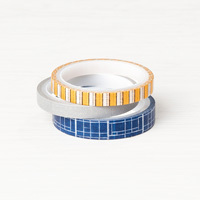 Hint: Place the framelit half on and half off the cardstock to cut the semi-circle. In order to fit it through the Big Shot, you may have to fold up the flaps on the other side. Fold in the flap, burnish with your Bone Folder and add Tear & Tape adhesive on flaps. Fold over the section with the semi circle to complete the pocket. In last week's newsletter I included a short survey asking you what you want to see in my newsletters - thank you to those of you who responded. One of the suggestions you had was to learn how to make more 3D items. You asked and I am happy to answer! Today's project idea is a Country Home 3D box, perfect for small gifts and goodies. BUT - there is an exciting twist to this box - it is embossed using my all time favorite embossing folder! Read on for all the juicy details. Add a comment below telling me what you would put inside this fun box! 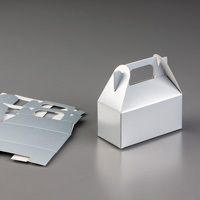 Place the flat gable box in the embossing folder and run it through the Big Shot. Use the Stitched Shapes framelit to cut an oval from the Shimmery White cardstock. Using Memento Black ink, stamp the images onto the Shimmery White oval. Color as shown using the Stampin’ Blends listed above. 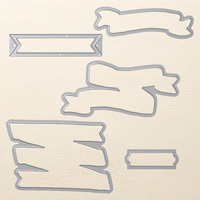 Punch each end of the designer paper to make a tag - one with the Scalloped Tag Topper and the other with Banner Triple. Using the scrap of Old Olive, punch out two sets of sprigs and attach them to the tag. Then attach the oval to the tag. Use the Braided Linen Trim to attach the tag to the box. Do you know how to make a center step card? This week's Paper Craft Crew card challenge is a doozie! But let's take it on with a fun attitude and learn a new fancy fold, shall we? If you know me by now, you will understand that I had to go all out with this one so I decided to learn a new card fold technique and share it with you too! Introducing the Center Step Card - this card is perfect for birthdays or other occasions where you want to add a gift card for someone special. And as is typical for me, I made a ton of mistakes on my first creation. But I can live with those because overall my gift card holder turned out ok even though the front panels do not lie flat (no matter what I tried!). Here's my Center Step card - what do you think? If you like it please let me know. Personally, I love the Stitched Labels layers on the front of this card - I wove the Night of Navy Baker's Twine through one end to keep it in place. If you want to learn how to make this card, email me at: terri@nutzaboutstamping.com and I will share a video link with you. Here's the inside from a side view - where you can see how I went 'wrong'. But that's how we learn, right! The cool thing about this card fold is that you can create the same idea for many different occasions: think baby shower, wedding, etc! Want to see other card fold ideas? Click here to see what the other crew members made this week! School will be back in session very soon so why not take some time now to create a few beautiful Blended Seasons thank you pillow boxes to sent with your children the first day of school. Inside you can tuck a nice note for the teacher - wishing them an amazing school year and thanking them for all they do. If you prefer, add a sweet treat or something else that a teacher may like. The Blended Seasons bundle is only available for the month of August - after that it is gone forever! I love this bundle because of the variety of occasions it offers - right through the end of the year! Click on the flyer below to download it to your device - you can see prices and other products as part of our August promotion. Click here to place your Blended Seasons order at my online store! A fun new product in the Annual Catalog (page 193) is this cute Kraft pillow box, perfect for small gifts and wrapped goodies! You get 10 pre-printed boxes in one pack - that will take you a long way through the crafting year, won't it? Here's one teacher gift idea - below the photo is a complete list of supplies and products used to make this Blended Seasons project. Assemble pillow box by pinching the center and folding the ends in along the score lines. No adhesive needed. Note: the notched side is meant to be on top of the other. 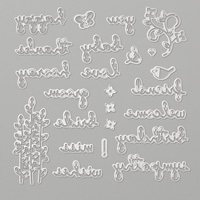 Die cut the smallest label shape from the Stitched Seasons framelits from the largest piece of whisper white cardstock. Stamp leaf image from the Blended Seasons stamp set using Memento black ink onto the left side of the label shape. Stamp the leaf image again onto a scrap of white. You will only need a couple of the smaller leaves from this piece. Color all the leaves on the label shape using the Stampin’ Blends (and a couple of the smaller ones on the scrap cardstock). I started with a layer of light daffodil, added a bit of light pumpkin along the veins of the leaves. Blended with the dark daffodil and then blended the entire leaf with the light daffodil. If you’d like a bit more orange, add a bit of the dark pumpkin. Add the label shape to the centre of the pillow box using dimensionals. Stamp greeting using black ink and trim ends as shown. Add this to the pillow box using dimensionals. Die cut the leaf/berry framelit from the granny apple green cardstock and tuck it under the greeting. Die cut the leaf framelit from the gold foil and tuck it under the greeting. Cut out two of the smaller leaves from the scrap and add them to the pillow box as shown in the photo. Have you tried creating your own gift bags? They are so easy and fun to make, thanks to Stampin' Up!s product choices. Punch one end of both 2-1/2” black card stock pieces using the Triple Banner punch and adhere behind Lovely Lipstick card stock. 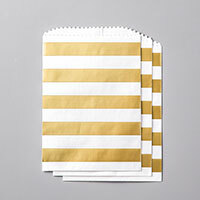 Adhere to front of Striped Treat bag. 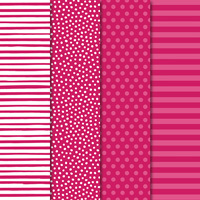 Layer Polka Dot Tulle ribbon across the top of Lovely Lipstick card stock. Stamp “Hooray” on white card stock with Lovely Lipstick. Add polka dot “Hooray” in black ink on top of Lipstick color. Adhere a section of gold sequin trim to the back of stamped Hooray piece on either side, then attach over the top of Lipstick card stock layer at a jaunty angle. Cut Broadway Lights frame from Gold foil sheet in the Big Shot. 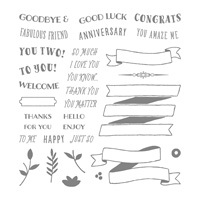 Attach around the “Hooray” with mini Stampin’ Dimensionals. Emboss “Let’s Celebrate You” on black card stock with white embossing powder. Once dry, punch out sentiment with Classic Label punch and attach to front of bag with Mini Stampin’ Dimensionals. 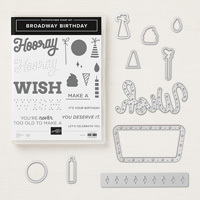 Tags: Broadway Bound projects, gift bag ideas, Nutz about Stamping, Stampin' Up!